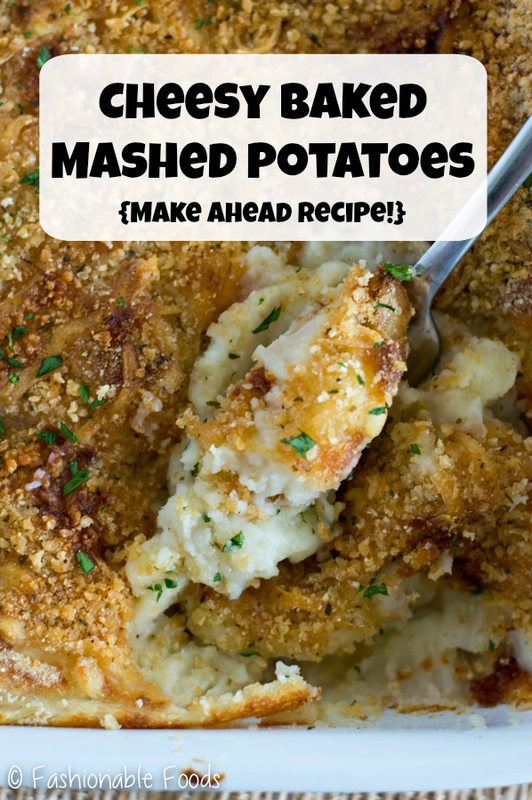 Enjoy a stress free holiday by making these cheesy baked mashed potatoes – they can be made completely ahead and then just bake before you’re ready to eat. The crispy breadcrumb topping is the best part! Fluffy, creamy, cheesy mashed potatoes. 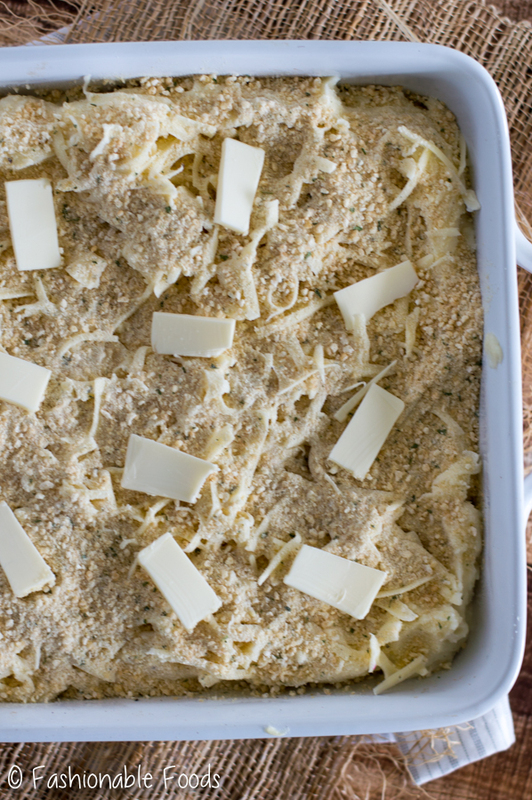 Topped with breadcrumbs and baked to crispy perfection. There isn’t a holiday meal in my life without mashed potatoes. Like, it’s not a holiday celebration unless there are mashed potatoes. 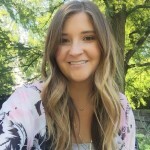 They have always been my favorite holiday side, but they can be quite a pain to make while you’re doing a million other things. 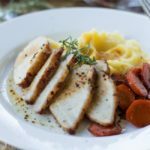 Of course making mashed potatoes isn’t difficult, but they typically require being made right before serving. Which can be problematic while you’re trying to carve the turkey, make gravy, and get everything else ready. 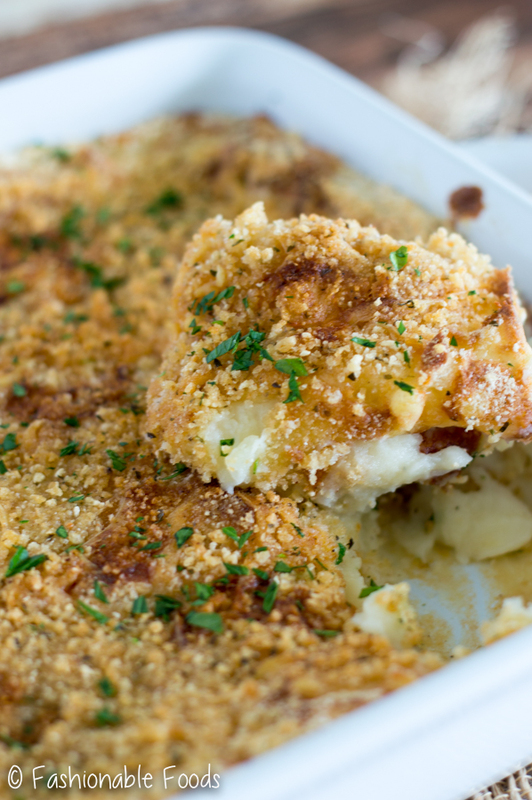 Cheesy Baked Mashed Potatoes <– Made ahead up to 2 days ahead. Just pop ’em in the oven and enjoy a stress-free holiday. I’ll admit, I was a bit nervous on how I would feel about these baked mashed potatoes. 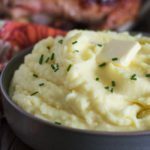 One of the things I love about mashed potatoes is how fluffy and creamy they are. I was afraid the crispy topping would take away from that. 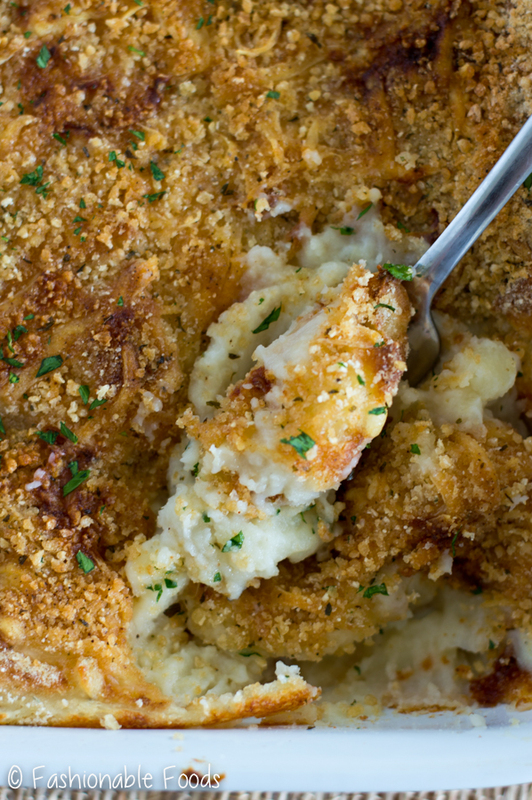 That crispy topping brings a whole new level of awesomeness to mashed potatoes. You’ve got the best crust ever on top, and underneath you’ve got the fluffy, creamy goodness. Perfection! 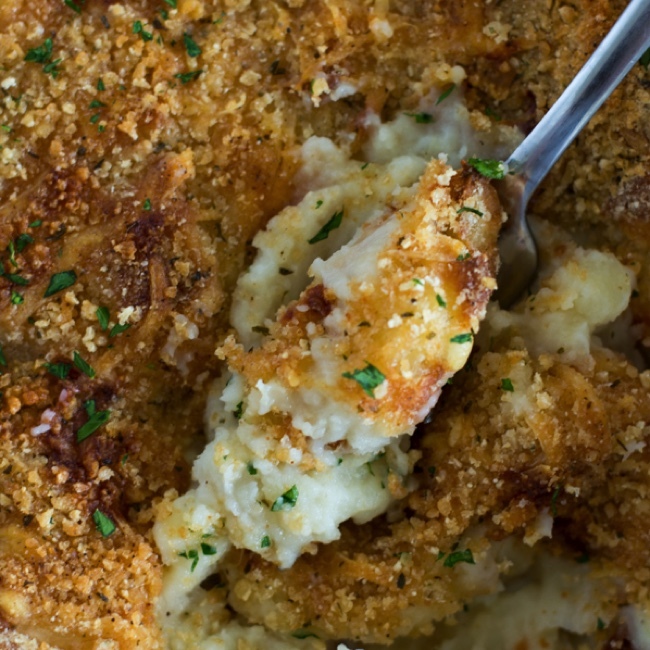 We start out with my recipe/method for perfect mashed potatoes and then add cheese (which I was previously against, but now I’m totally into), top with breadcrumbs, cover, and then refrigerate for up to 2 days. Then, on the day of the big meal, just pop ’em in the oven and prepare for mashed-potato-crispy-topping-heaven! Place the cubed potatoes in a large pot and cover with cold water. Cover the pot and set it over high heat to bring the water to a boil. Once the water is boiling, uncover and salt it generously. Cook the potatoes for 10-15 minutes, or until tender. Meanwhile, butter an 8x8 inch baking dish and set aside. Drain the potatoes and return to the pot. Over low heat, stir the potatoes until additional moisture evaporates. Stir in half of the cheese and then transfer the potatoes to the prepared baking dish. 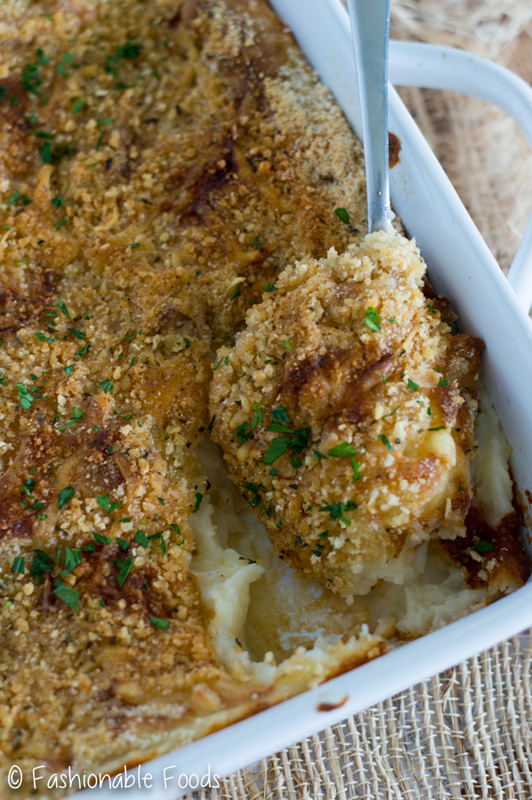 Top the mashed potatoes with the remaining cheese and the breadcrumbs. Dot the top with butter and then cover and refrigerate for up to 48 hours. Preheat the oven to 375º. Bake the potatoes for 40-45 minutes, or until the top is golden brown. *Use regular breadcrumbs if you don't need these gluten-free! Looks interesting. 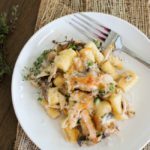 I’m not yet sure about how I feel about the breadcrumbs, but I’m never one to pass up a potato dish! Gotta work this into my recipes next week and see how it goes. 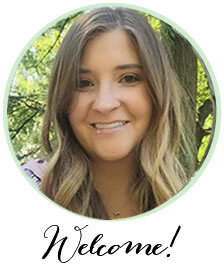 Charlotte recently posted…Find The Best Shower Head for Pressure, Hard Water, Apartments, Small Showers & More! I felt the same, Charlotte. I think you’ll be pleasantly surprised by the breadcrumbs, though! 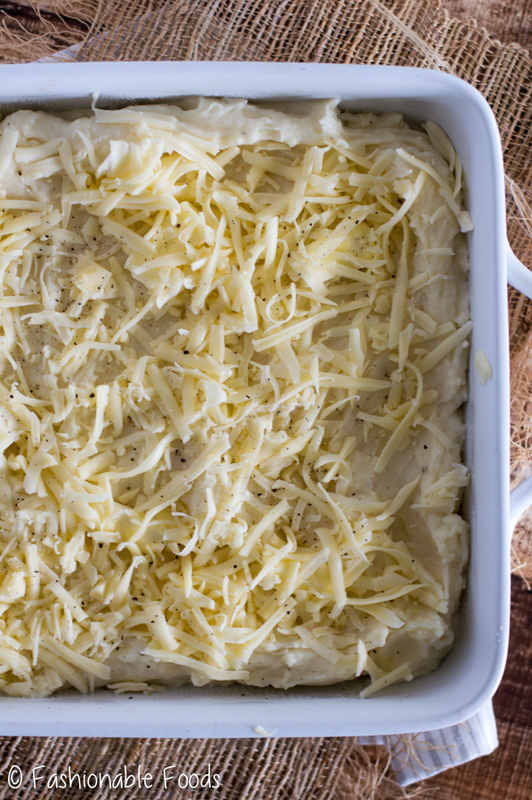 This cheesy baked mashed potato is a brilliant idea. I am definitely looking forward to a stress-free holiday season. Would love to enjoy this with ham. Such an interesting recipe as I have never tried to make or even have one before. Pinned.